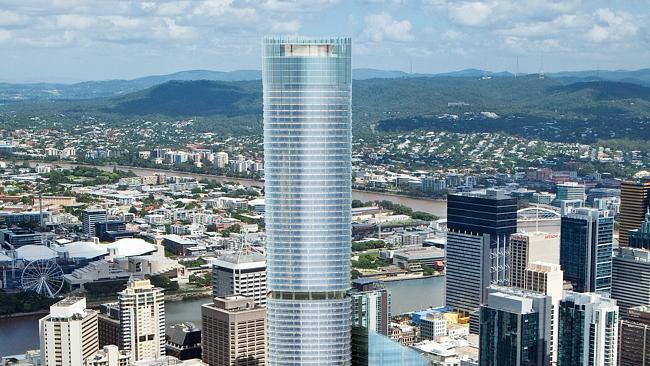 The Brisbane City Council has just approved a 90 storey high-rise apartment complex, which has been named ‘Sky Tower’. As vacant land close to the city centre is hard to come by in Brisbane, it is Council’s vision to accommodate future residents in high-rise apartment developments that have a relatively small building footprint. The Sunshine Coast has a population growth rate of 2.1%, which is higher than Brisbane and the Queensland average and is predicted to increase in the future. Is high-rise residential development around major centres the future solution to the predicted population growth for the Sunshine Coast region? The approved 90 storey building in Brisbane questions whether the planned iconic high-rise building for the Maroochydore City Centre (touted as 30 storeys) is really tall enough to be considered iconic? BRISBANE’S tallest apartment tower will rise from the city’s most infamous hole in the ground after council approved the 90-storey building yesterday. Billbergia and AMP Capital’s 222 Margaret Street building, to be named Skytower, will rise to Brisbane’s tallest allowable height of 274m, equalling the Shayher Group’s tower being ­developed on George Street. The $1 billion project includes the 90-storey Margaret Street tower and the adjacent 131m, ­42-storey hotel and apartment building at 111 Mary Street. Skytower’s official launch is expected next month, and marketing has begun for the 1100-unit development. It will tower above Meriton’s Infinity tower (249m) and Soleil (243m) towers, Riparian Plaza (250m) and the Queensland ­government’s under construction 1 William Street (258m). Read more…..